Established in 2003, HealthHarmonie is an experienced, high-quality health care provider who deliver a wide range of services to their patients - specialising in ultrasound, gynaecology, ophthalmology and other minor surgeries. In 2009, HealthHarmonie began working in partnership with the NHS, with an aim to deliver high-quality community-based services for its patients. The main communication issue that HealthHarmonie were looking to solve, was to find an effective way to gain customer feedback after a patient has received their service. 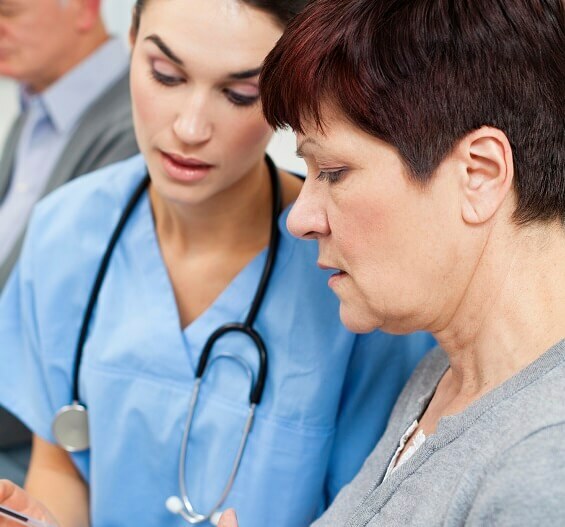 As a healthcare provider who are continually looking for ways to improve the service that they provide to their patients, this requirement was vitally important. Health Harmonie were already seeking this feedback, but in a rather expensive way. Paper letters were being sent but doing this came with a lofty price, when administration, stationery, and postage costs were taken into account. After defining their requirement, Esendex designed a workflow for HealthHarmonie based around their SMS and Mobile Journey technologies. 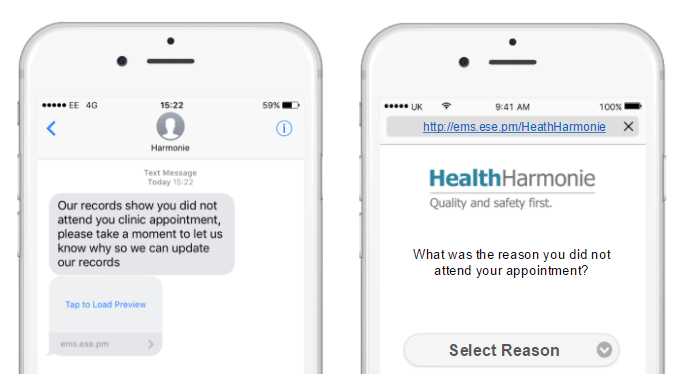 Using the data which was supplied by HealthHarmonie (through either CSV or direct database access) Esendex were able to create sets of personalised SMS messages, which each contained a link to a Mobile Journey. The Mobile Journey related to gaining customer feedback, asking the patient a series of feedback questions which HealthHarmonie could then use to analyse and improve their service. The responses to this Mobile Journey was then fed back through a bespoke daily report to an SFTP location. This enabled HealthHarmonie to create a simple automation to update their in house CRM system. As well as looking for solutions which moved away from their traditional paper communications, HealthHarmonie had additional requirements which were essential for a successful solution. Firstly, options on how the patient's contact data was supplied to Esendex was required. As well as being able to supply data via a CSV file, Health Harmonie required that the patient data should be available for extraction from their existing database. Secondly, the solution needed to be designed with mobile users in mind, easy to implement /use, reliable and cost effective. The solution should also provide a substantially higher engagement rate than their previous paper based communications. Finally, it was also vitally important that any data obtained from the customer, should be easily transferrable back into their in house CRM systems. Having implemented the Esendex workflow, HealthHarmonie were able to see the benefits almost immediately. After making the switch from paper based customer feedback to the Esendex solution, HealthHarmonie were able to collect 3 times more patient data than they previously had done, which in turn has allowed them to make several developments to their services and improve their patient's experience. “We’re thrilled with the results of the new system!"